As a student, you have rights at school. But one in five high school students do NOT graduate in four years. 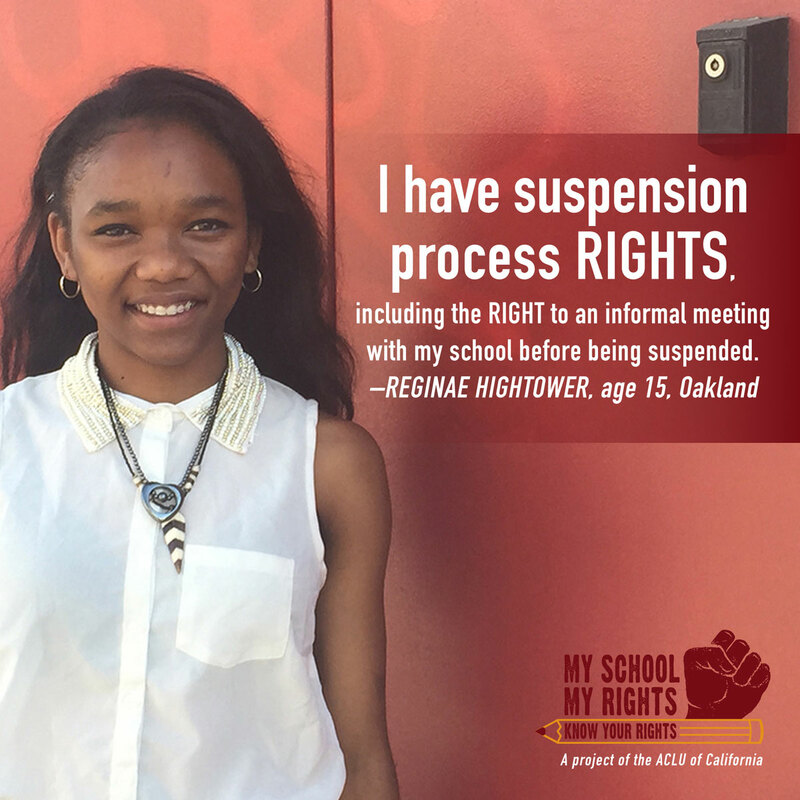 Stop the pushout of California students and STAND UP for your RIGHTS! I have a right to an education and I want to learn. File a school bullying, harassment, or discrimination complaint with your school. File a school bullying, harassment, or discrimination complaint with the federal Office of Civil Rights. File a Williams complaint for your rights to a clean and safe school, a book to use in class and at home, and a qualified teacher. 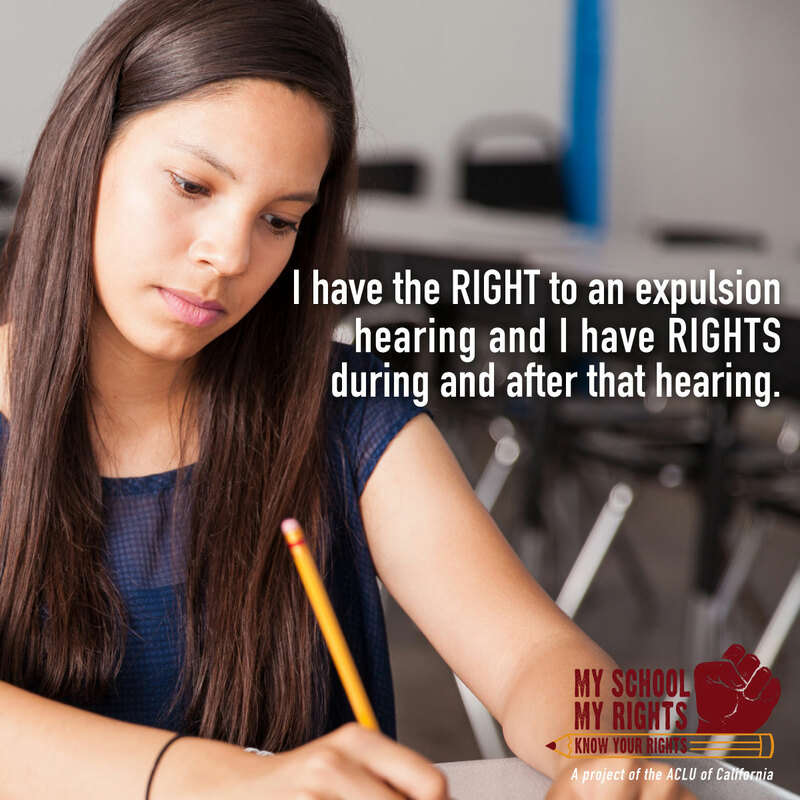 Visit MySchoolMyRights.com for more information. Speak up. Educate. Share these graphics on social media.